Securely deliver and protect restricted or copyrighted OTT content and media. IP GeoPoint data enables you to restrict access to premium content, including channel lineups, live streaming events and video on-demand. Access can be restricted by Designated Market Area (DMA) or Metropolitan Statistical Area (MSA), or by city, state or country even down to postal code. The choice is yours. Letting unauthorized viewers access your restricted content not only impacts your bottom line, but it can also jeopardize your licensing agreements. IP GeoPoint ensures that the right viewers and subscribers have access to your content. Allowing unauthorized viewers access to restricted OTT content, including channel lineups, live streaming events and video on-demand can put your company at risk of violating licensing agreements you worked so hard to negotiate with partners. IP GeoPoint ensures that your organization is accurately delivering content to meet the terms of your agreements. 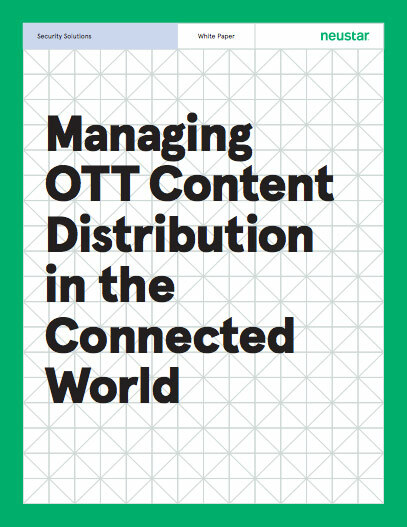 Even the most advanced content delivery platform that's designed to deliver IPTV, OTT, VOD and LTE broadcast media is only as good at the IP geolocation decisioning data at its foundation. Neustar IP GeoPoint provides high-quality decisioning data to help ensure that your customers have access to their content and that their experience is as frictionless as possible. Since location accuracy is paramount to the success of your company's media delivery service, ensuring that you are using the highest quality IP geolocation decisioning data is critical. If your team is responsible for reviewing and approving the data vendor, make sure that you standardize on the best IP geolocation data provider in the industry - and that's Neustar. In this webinar, we review the best practices for digital rights compliance and how to protect your OTT content in a global and increasingly mobile consumer market.